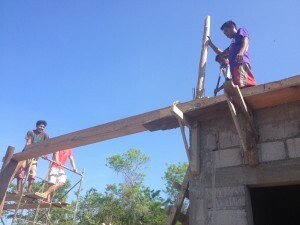 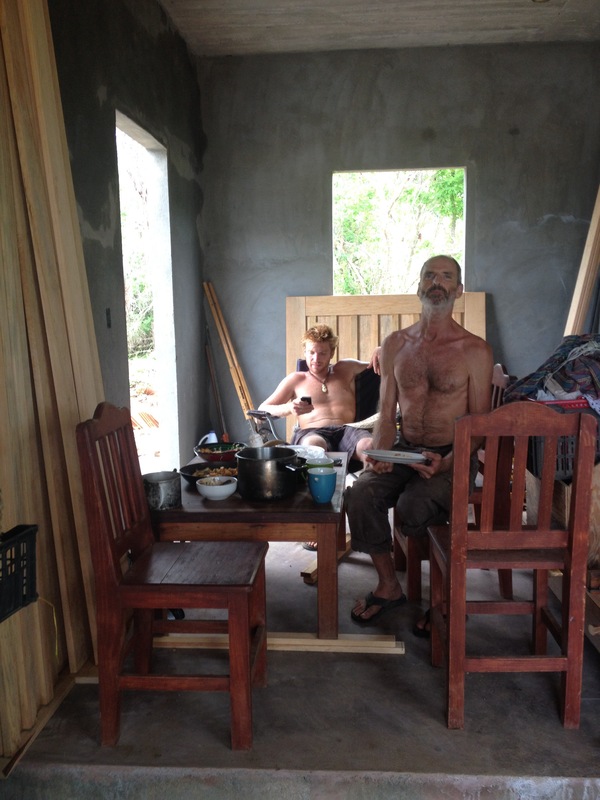 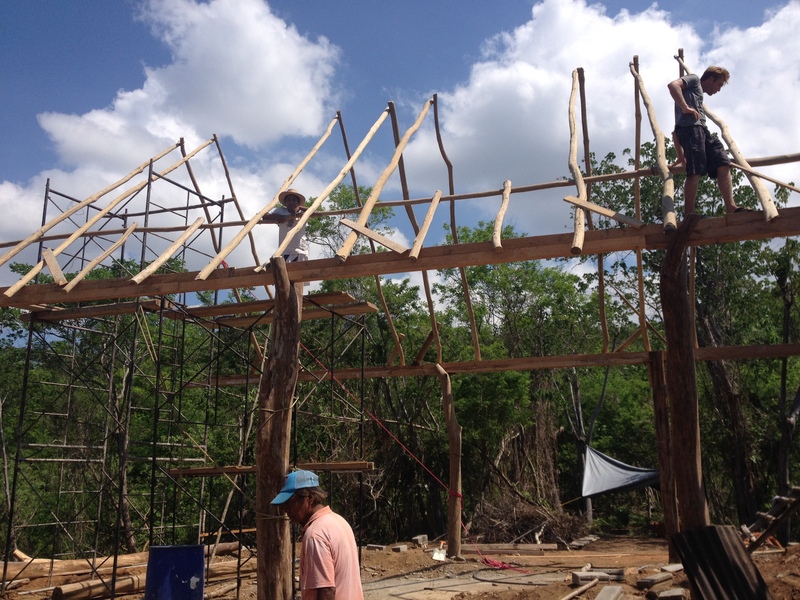 We Started off with the small ferro-cement storehouse/workshop and then added wood posts to support the roof. 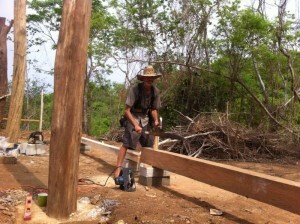 Beams were laid into the posts. We used a mixture of pine and local tropical wood. 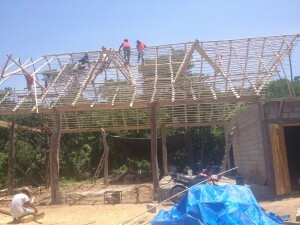 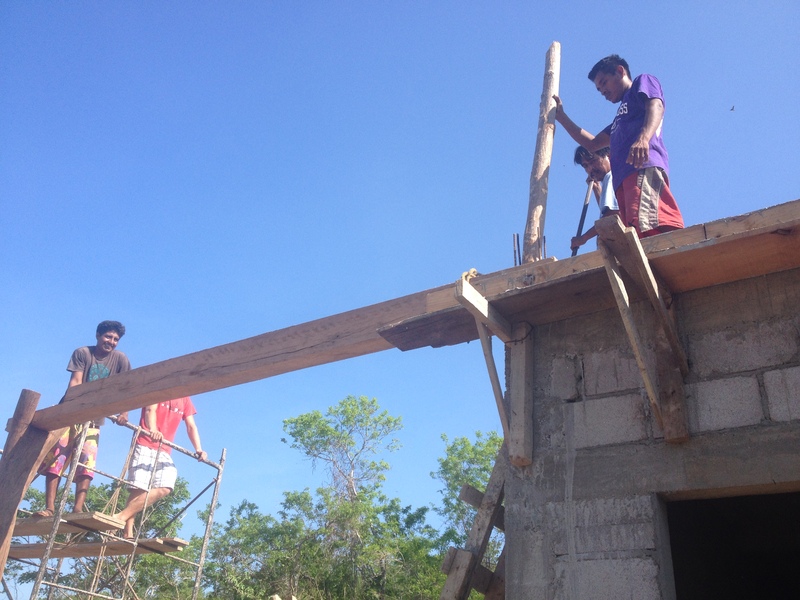 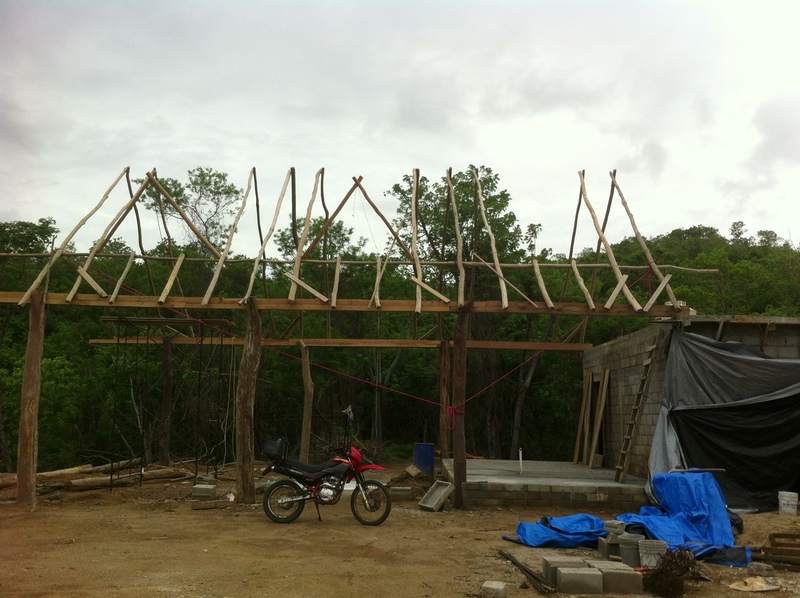 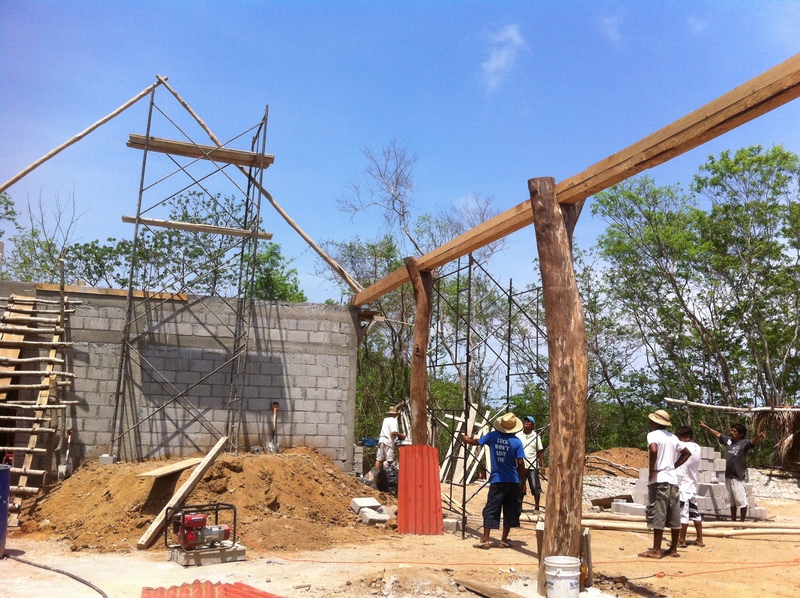 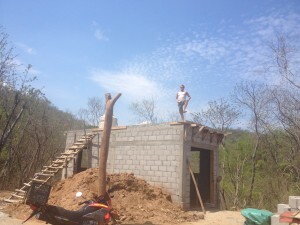 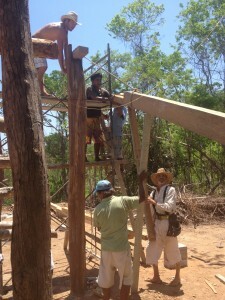 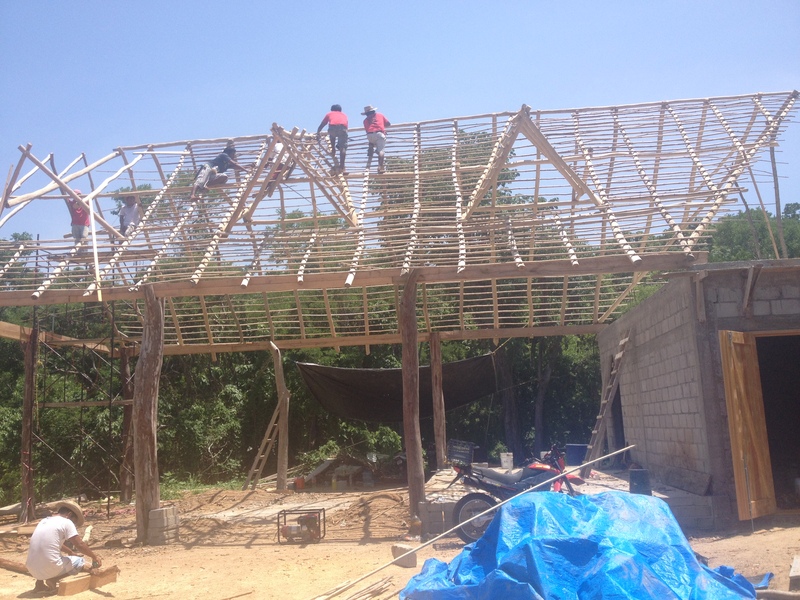 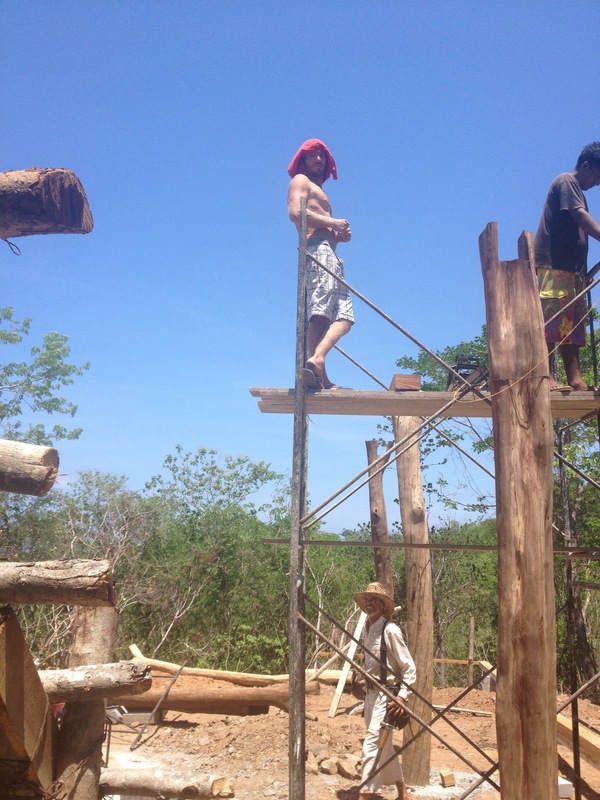 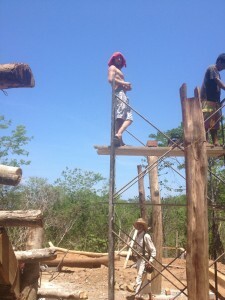 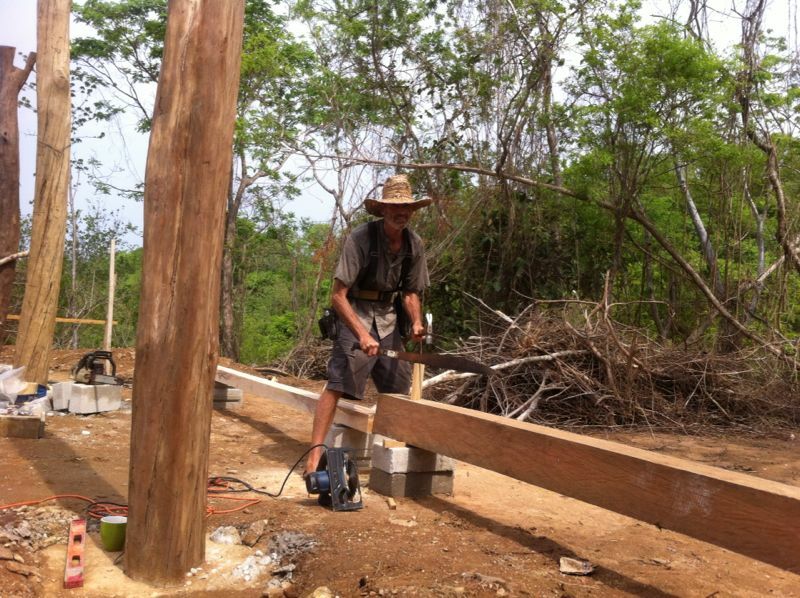 After the beams were in, we laid the “morillos” reaching up to the ridge line. Taking a break in the “bodega”. Brad’s carpentry skills come in handy making nice barn doors and windows! 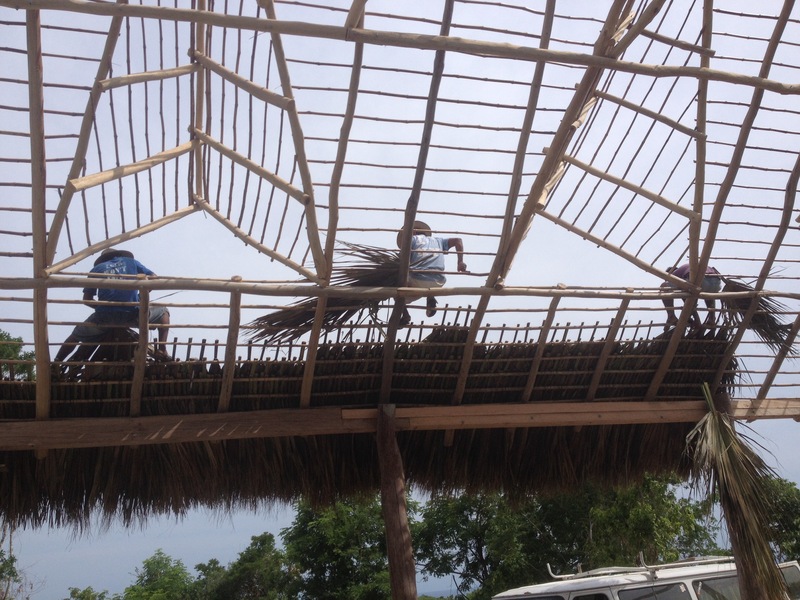 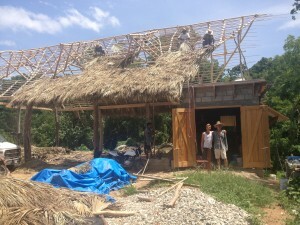 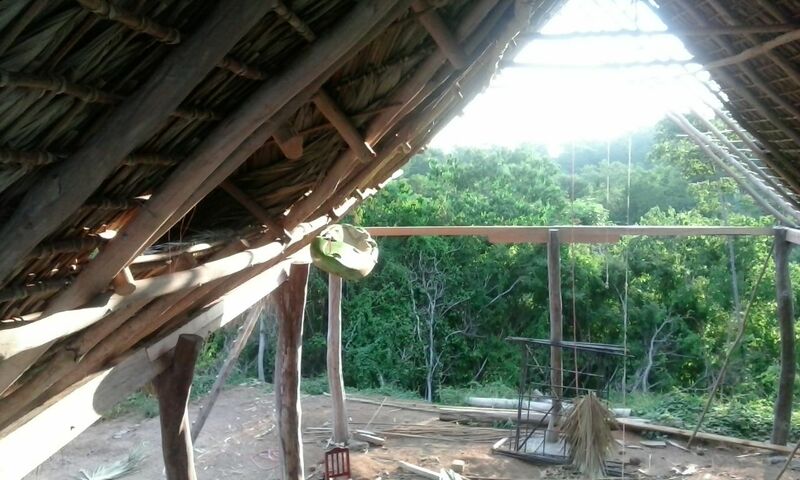 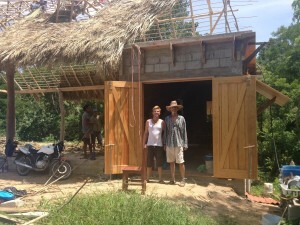 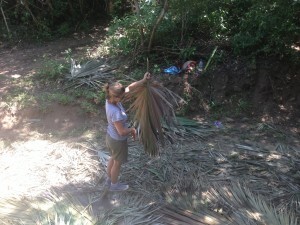 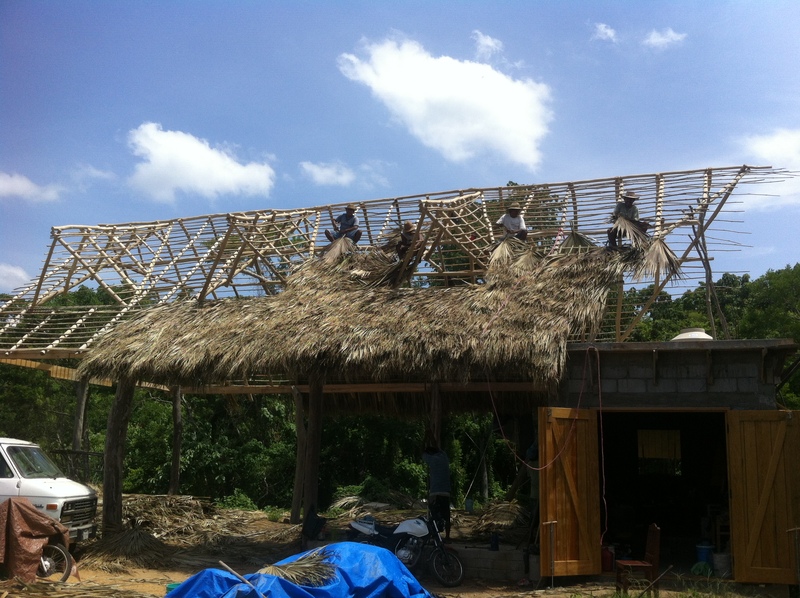 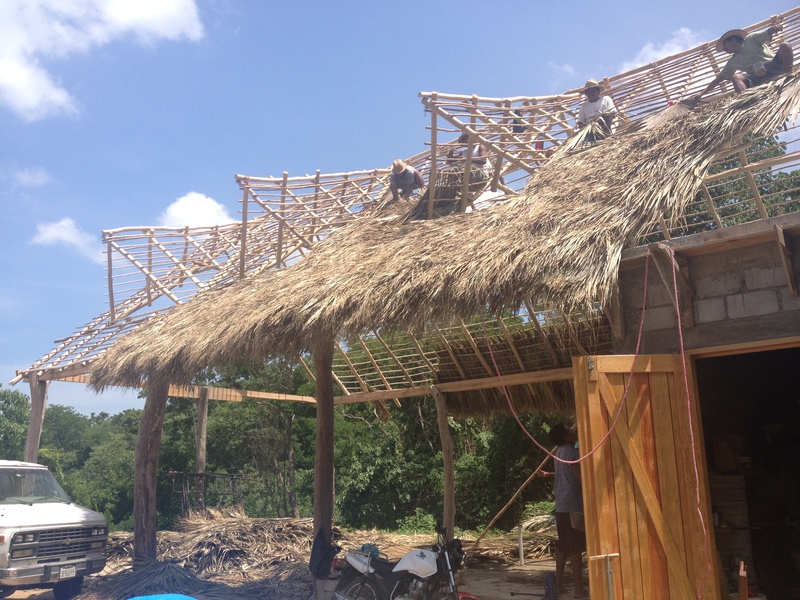 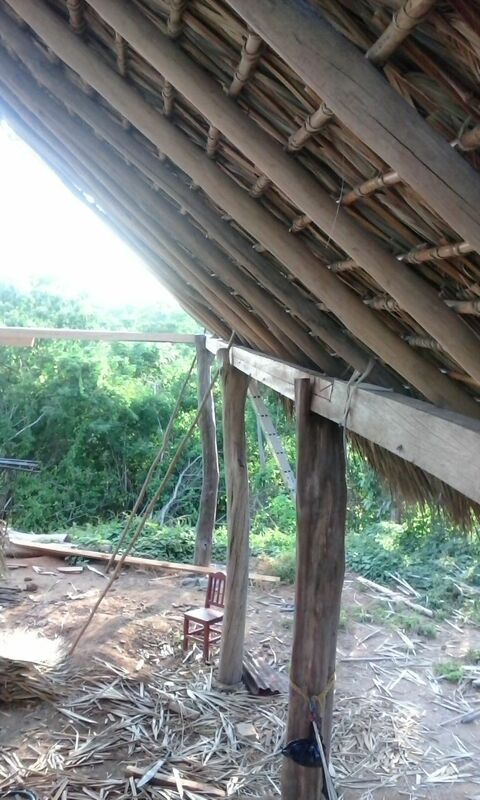 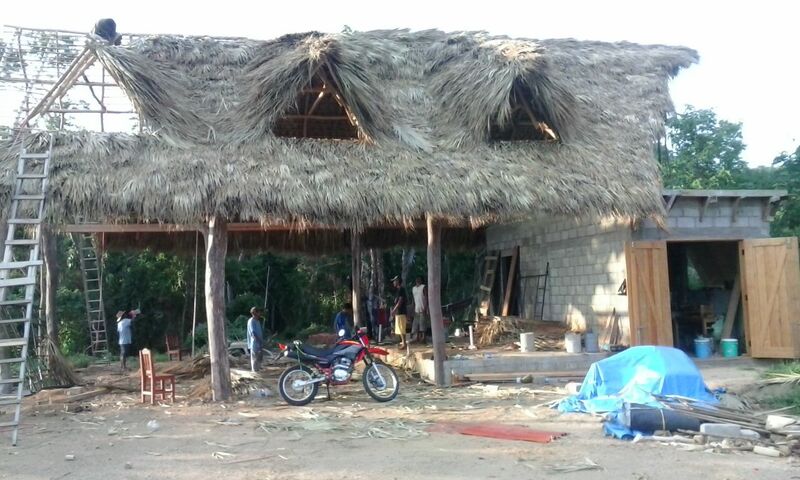 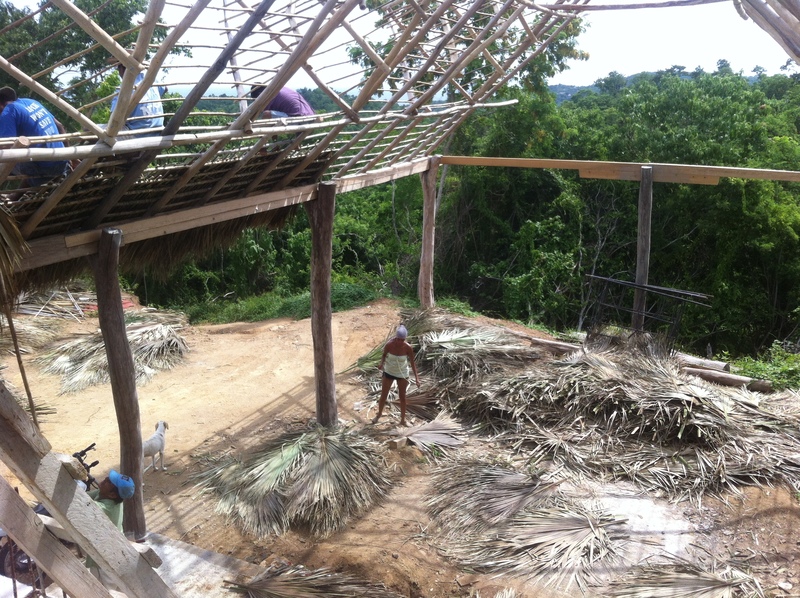 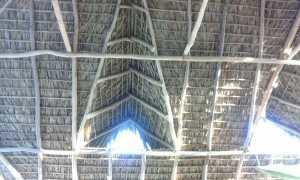 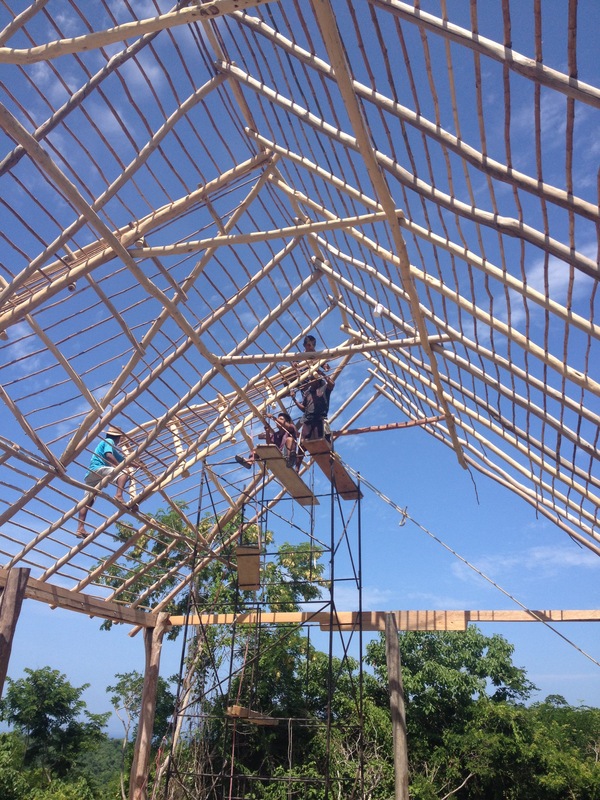 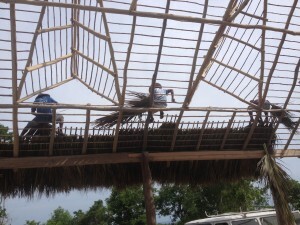 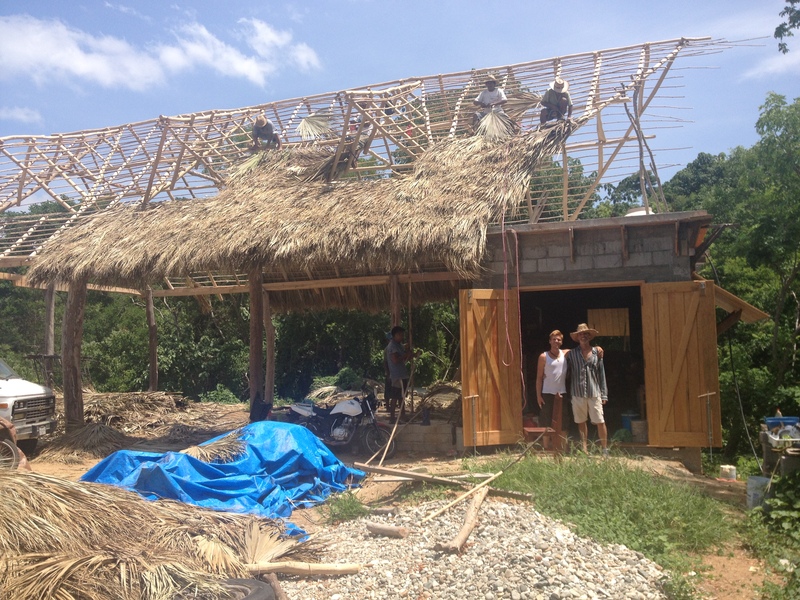 After the morillos are finished, we lay horizontal bamboo “Ottate” to tie the palm thatching on to. 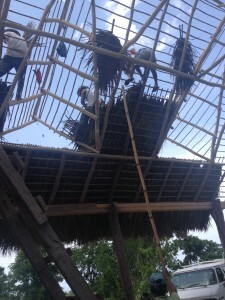 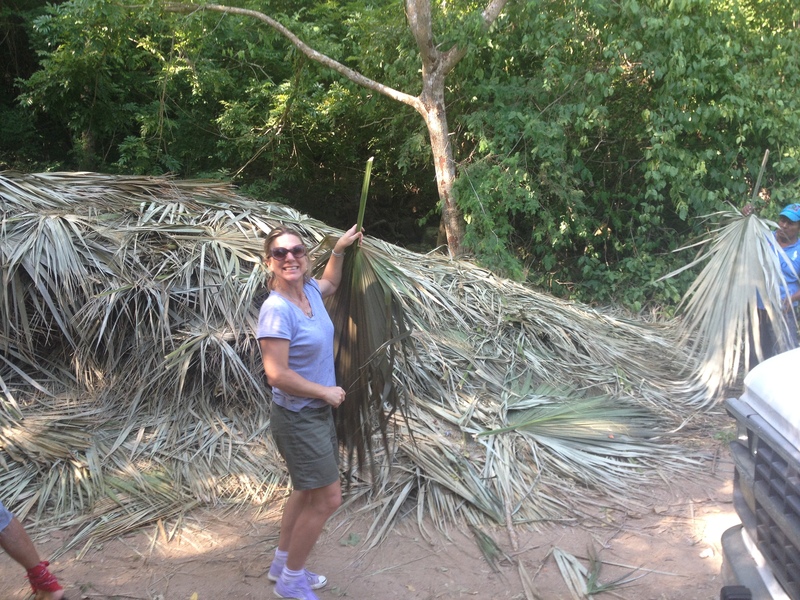 6,000 Palm fronds arrive to create the roof. 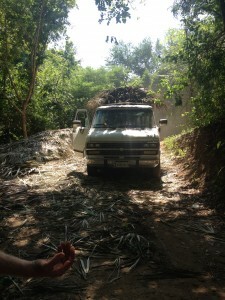 Unfortunately the truck is so big, it can’t make it all the way up to the house. 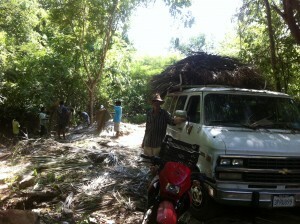 We use the van to make 34 trips carrying the palm up to the house. While the palm is being ferried up to the house, others clean off the small pieces near the stalk. 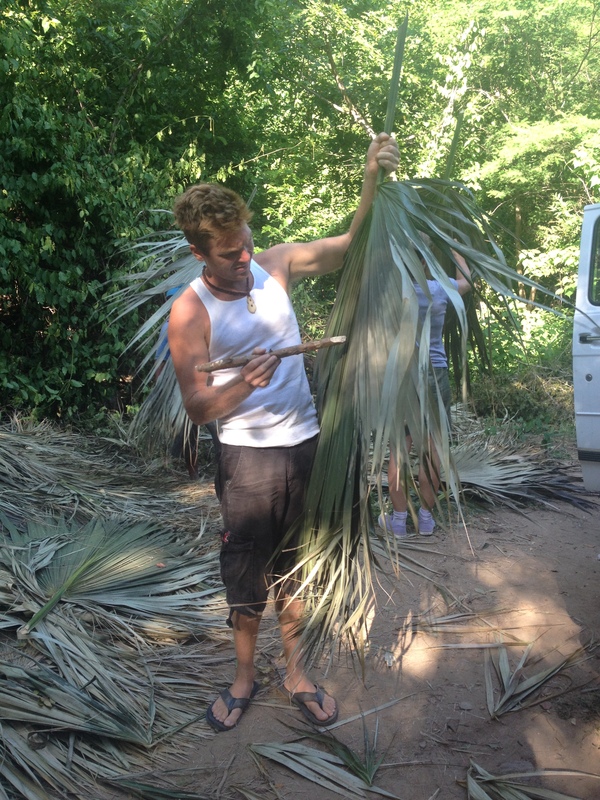 With the palm at the top, we start tying it on. Only 6,000 knots to go! 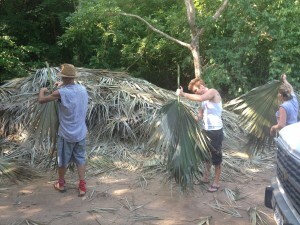 It looks beautiful when done! 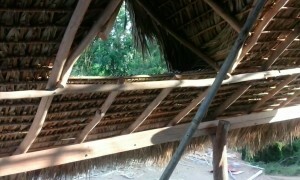 And makes a great place to hang the kayak! 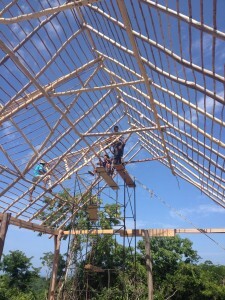 Wow guys! 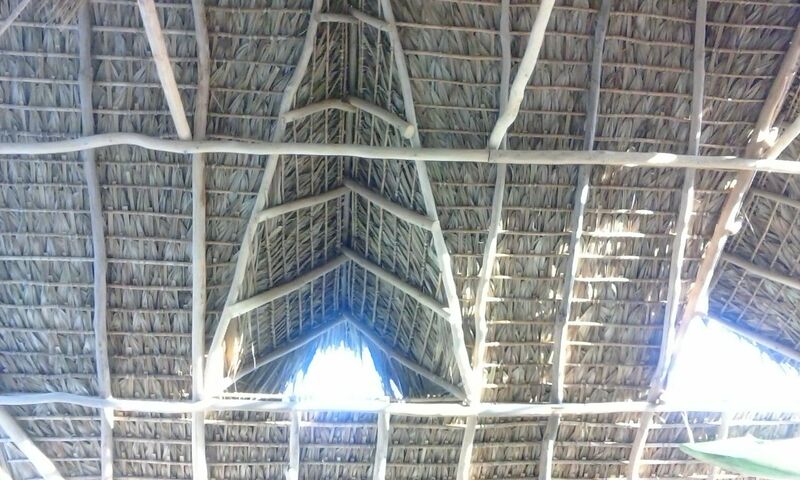 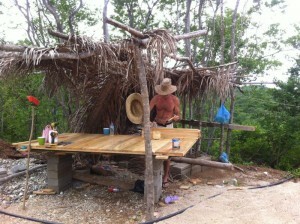 This Palapa looks amazing! 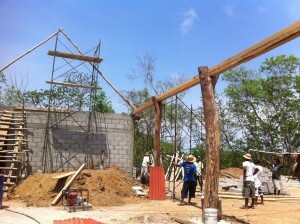 Love it how it uses the strength of the ‘Bodege’ to reach out from, but also beautifies the concrete structure. Fantastic… Keep it up. 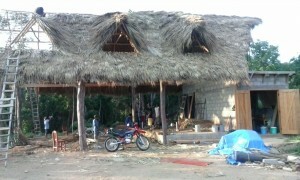 looking forward to visiting in January. great work on this. looking forward to my visit!